Updated (on March 17) with a new deadline of March 31: You’ve earned your Eagle; now it’s time to see the world! 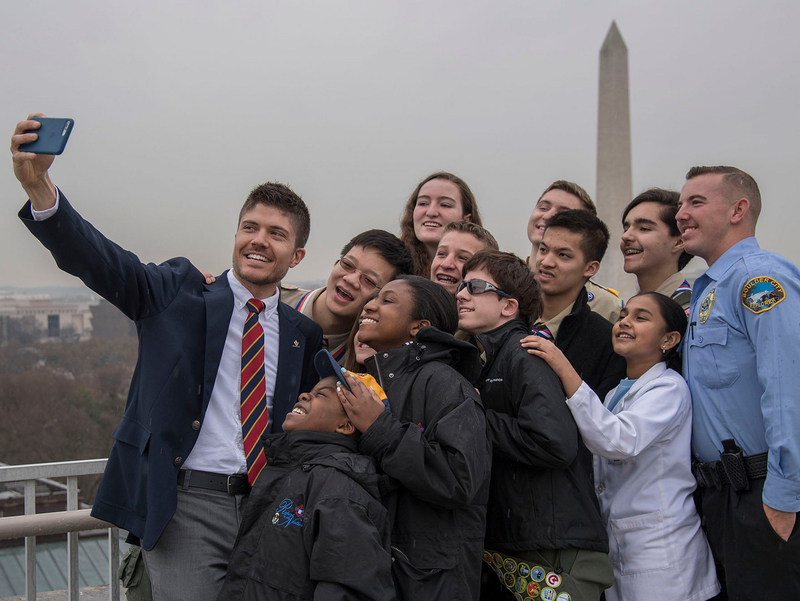 The National Eagle Scout Association’s World Explorers Program pairs stellar Eagle Scouts with world-class researchers at sites around the globe. Last year, seven Eagle Scouts made up the World Explorers Program’s largest group since the program launched in 2012. The young men assisted researchers in destinations including the Galápagos Islands, Arctic Circle, Amazon rain forest and South Africa. Pretty cool, right? If you’re an Eagle Scout age 18 and older, apply now for a chance to be a part of the 2016 World Explorers Program. You must be a member of NESA, complete the online application form and submit a 250-word essay before the deadline of 11:59 p.m. CST on March 31. Other requirements, including majoring in related field, apply to the individual opportunities, so be sure to read the fine print. Two Eagle Scouts will travel to Ecuador’s Yasuni National Park in the Amazon rain forest, where they’ll assist Tiputini Biodiversity Station’s camera-trap program established to document rarely seen wildlife, such as jaguar, ocelot and much more. Read the requirements and apply here. One Eagle Scout will join the Smithsonian Narwhal Tusk Research program in Greenland, where he will assist researchers studying narwhals in the waters of the Arctic Circle. In one of the most diverse areas of the world, two Eagle Scouts will help researchers examine animals vulnerable to natural or manmade threats. Last year, the Eagle Scout biologists helped catch, band and track endangered large sea turtles. Two Eagle Scouts will join Dr. Lee Berger, renowned paleoanthropologist and Distinguished Eagle Scout, to assist in his recent findings of 2-million-year-old human remains in South Africa. The Eagles will help study ancient human fossils while living at the famous Malapa site. In this brand-new program, four Eagle Scouts will help explore, map and collect data in Kentucky’s Mammoth Cave National Park. Be prepared to work alongside world-renowned speleologist and former NESA Director Bill Steele, as well as members of the Cave Research Foundation. Stay informed with the latest NESA news, including the announcement of the 2016 World Explorers Program recipients on May 1, by following NESA on Facebook. Questions about any of the opportunities above? Contact NESA@scouting.org. Good luck! Photo: John Wilken of Mountain View, Calif., the 2015 NESA Eagle Scout Arctic marine biologist.